A day in the life of a Peacock Bass guide. The morning sun dawns bright and hot as we make our way to the Miami airport boat ramp, one good spot of many to chase the elusive and super aggressive Butterfly Peacock Bass. We have live bait, as well as artificial baits to throw at the fish. We have some 4 inch domestic shiners, and a myriad of bright colored topwater plugs, hard jerkbaits and diving crankbaits. Peacock Bass really like the herky-jerky, somewhat fast retrieve & working artificial baits along the walls or banks. 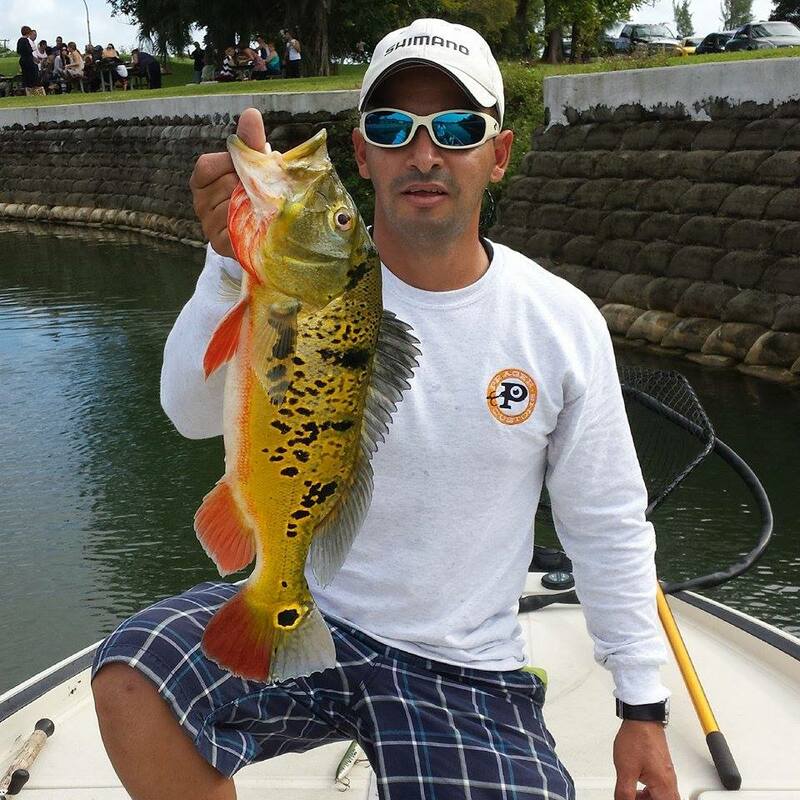 The Miami airport lakes and the surrounding canals are very good for all kinds of fish. Snook, Jack Crevally and Largemouth Bass all inhabit this chain of lakes. A normal days catch of peacock bass will be around twenty or so fish, in the one to 5 pound range. With every possibility of a trophy sized fish, on any given cast! From January through June are the hottest months to catch Peacock Bass spawning in their nests. During the summer through the hotter months, the artificial lures seem to be the ticket, as they become very aggressive, attacking the fast moving baits. 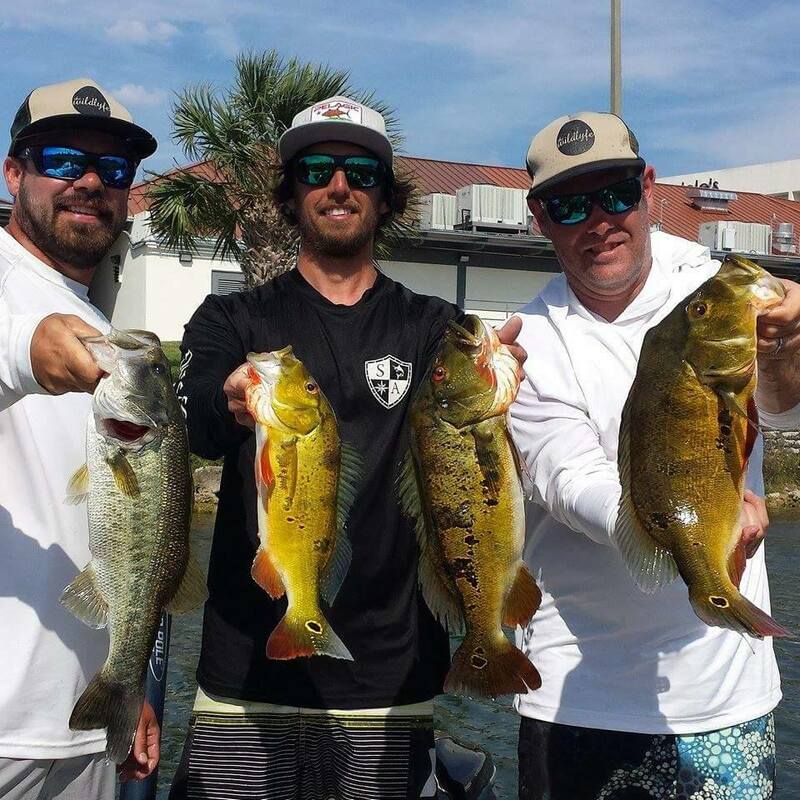 The Kendall area, or C-100 Canals are producing very good quantities of peacock bass right now. A good day will be 30 fish or more using the same baits and techniques. Live bait trolled about 50 feet behind the boat is a steady producer as well! A small number 4 Mustaad hook, a BB shot clamped on the line about two feet above the hook with the hook placed in the shiners top lip, through the nostril, works like magic! Just slow troll the bait parallel to and about a boat length off the bank. The Ida chain of lakes have been good recently, just harder to specifically target the peacocks right now. 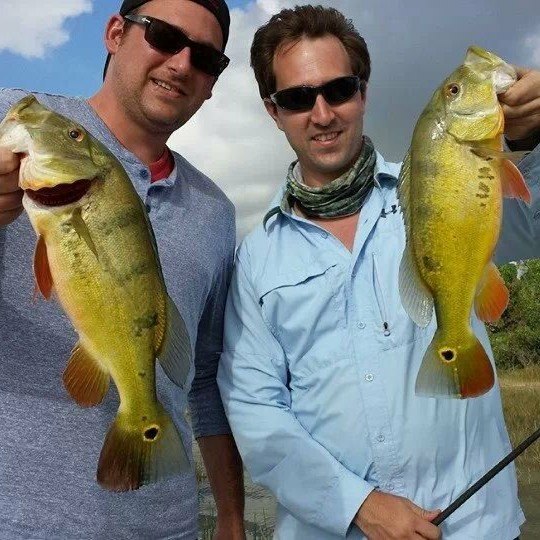 Hiring a guide will help you find the fish faster and much more consistently. All these lakes and canals take some time to figure out, but they are great spots to catch some nice fish.